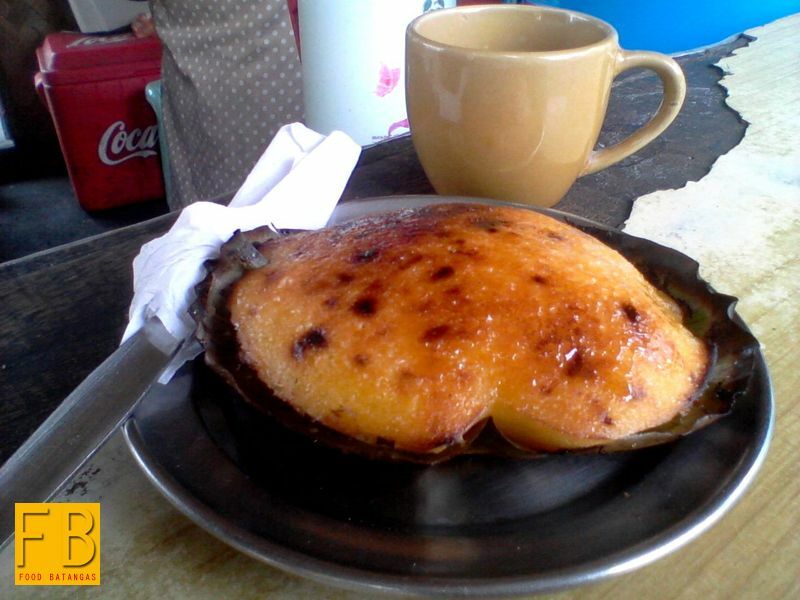 Those who wish to try an alternative snack to the sort one finds in the malls with increasing ubiquity may opt for the more traditional Filipino fare of bibingka or local rice cake. While the bibingka attains a fair amount of celebrity during the holiday season, it is by no means available only when the Christmas lanterns and trees are due to be taken out of the closet. 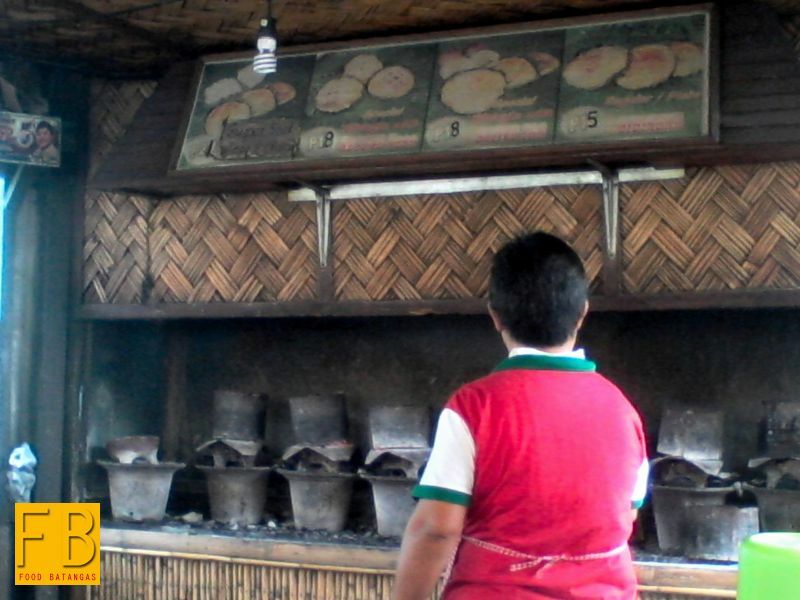 There is, in fact, this lovely little bibingka stall in Lipa City that sells the rice cake whatever the occasion; and for no occasion at all. It is call D’ Lover’s Line Bibingka. Perhaps, the word stall is a tad inappropriate. Hut seems more the apt description for this store that stays true to the nature of what it sells and is built in the tradition of the bahay kubo. 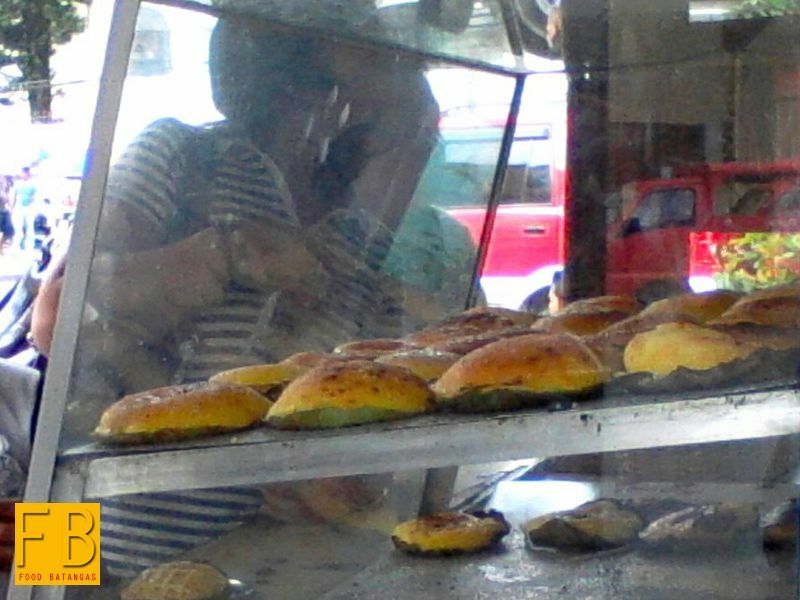 Neither is the architecture the only reminder that the bibingka is a Filipino creation. 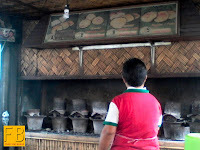 The way the rice cake is baked in small earthenware ovens takes the customer back immediately to a more serene and historic era. Just for good measure, a cup of a Filipino traditional beverage, the salabat, is served for free. You may even ask for a refill; and yes, even that is free as well. Every once in a while, a customer will make himself or herself comfortable atop the stools that front the store. There are as many people who take their merienda at the place as there are who pass by to order the bibingka to go. 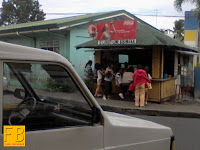 Business is brisk; and whatever freshly baked bibingkas there may be on display are quickly picked up by customers. It is not uncommon to have to wait while a fresh batch of rice cakes are being baked. I cannot say that I have had enough experience of the bibingka to be able to critique one against the other. 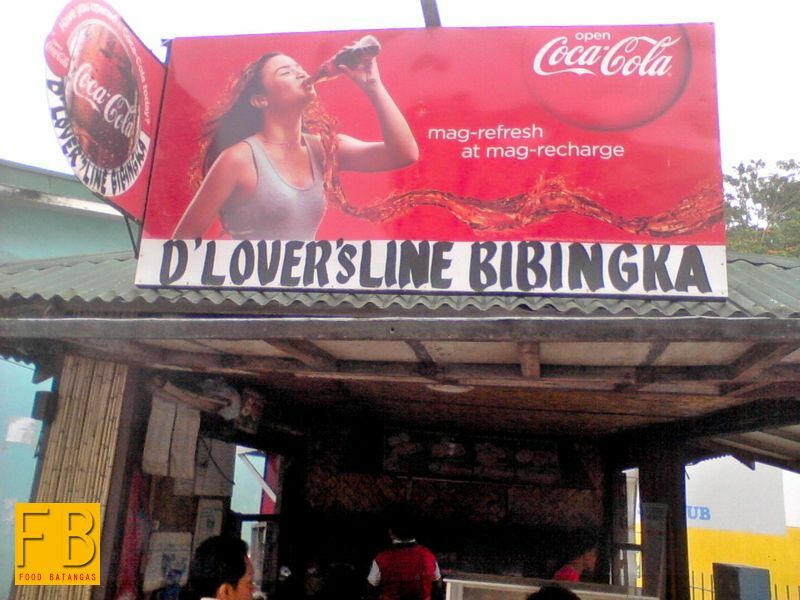 All I can say is that when myself tried D’ Lover’s Line Bibingka, all I could do was to momentarily close my eyes, tilt my head slightly upwards and savour the sweet juices of the bibingka as they gently caressed my taste glands. 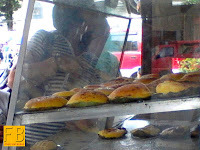 Each bibingka is reasonably priced at 15 pesos. Add three more pesos and you may opt for a topping of either cheese or salted egg. Add another three and you may have both toppings. 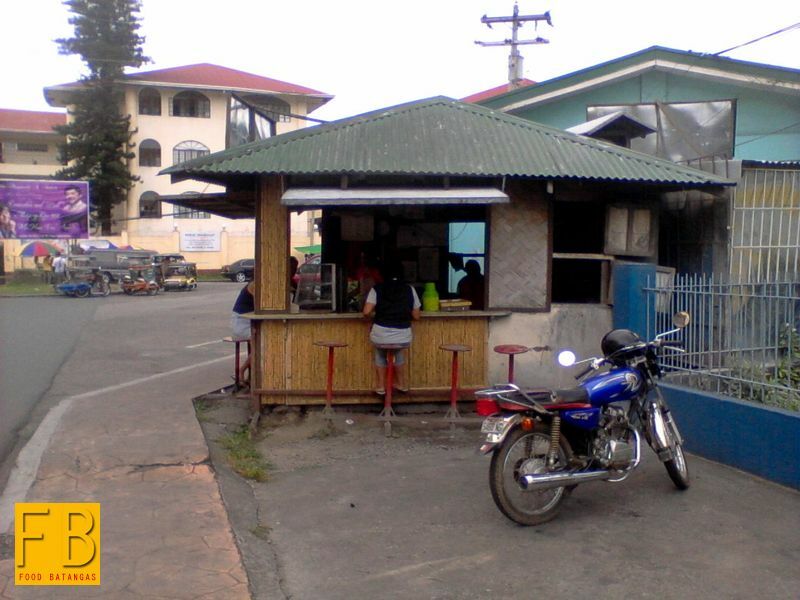 For those who wish to try D’ Lover’s Line Bibingka, the hut is right next to the Lipa City Youth and Cultural Center and is at the corner of the road leading to the Land Transportation Office.